Wisdom is said to come with age. Maybe that's why some of us enjoy conversing with parents, grandparents, and other older people. Several years ago while reading a book on the secrets of why people in certain Countries typically outlive people in the rest of the world one observation was made which is rare in America. Those who lived longest had a common trait of interacting with the younger generation. The young respected the elderly and the elderly were energized by the young. The "generation gap" was almost non-existent. Nursing homes were virtually unknown. 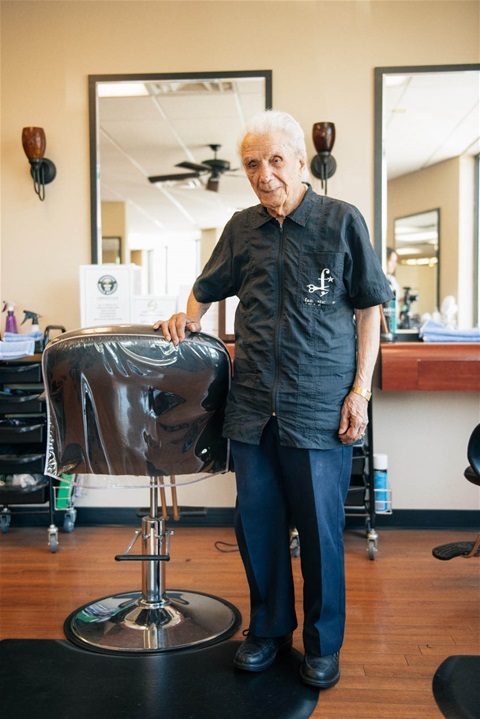 The New York Times ran an article recently about the world's oldest living barber who is still enjoying his trade at a full-time pace at the age of 107. This reminded me of a barber who occasionally cut my hair who told of a customer truck driver who was still driving at almost 100. I indicated that I'd like to meet him. It never happened. But, I do have an interest in conversing with "old-timers". Anthony Mancinelli, an Italian born WWII veteran who has outlived all seven of his siblings, is in good health, takes no daily medications and doesn't wear glasses, still has his teeth and a full head of hair. He has been cutting hair for 96 years and was listed in Guinness World Records in 2007 as the oldest working barber. Mancinelli attracts quite a few curious people including me. I've for a long time believed our Creator has a few outstanding people who amaze the rest of us. What might we learn from this man? Stay busy, do what you love, have a servant attitude, take care of yourself. I'd love to converse with him which is not likely as he's about an hour north of New York. Keep on clipping. You are special!